www.worldofgambling.ro, About World of Gambling Wordlofgambling.ro is the best website where you can find all the latest news about poker and other gambling games. We’re a strong team, with a clear vision about games, magazines and everything that goes around in a casino. Also you’ll find detailed stories about Casinos around the World, from Africa and South America, to Europe and Asia. We’re interested in features regarding gambling markets, how economy affects gambling and all you need to know about it, from language to addiction and history. 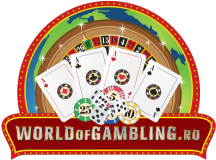 So if you’re interested in gambling news and exclusive interviews with poker players or Romanian stars talking about gambling, Worldofgambling.ro should be your top bookmarked site! Lucien Wijsman, omul cu slotul! Lucien Wijsman, omul cu slotul! Să fie Malta Pământul Făgăduinței ?